Katy has completed a Master of Science in Entomology at the University of Delaware. 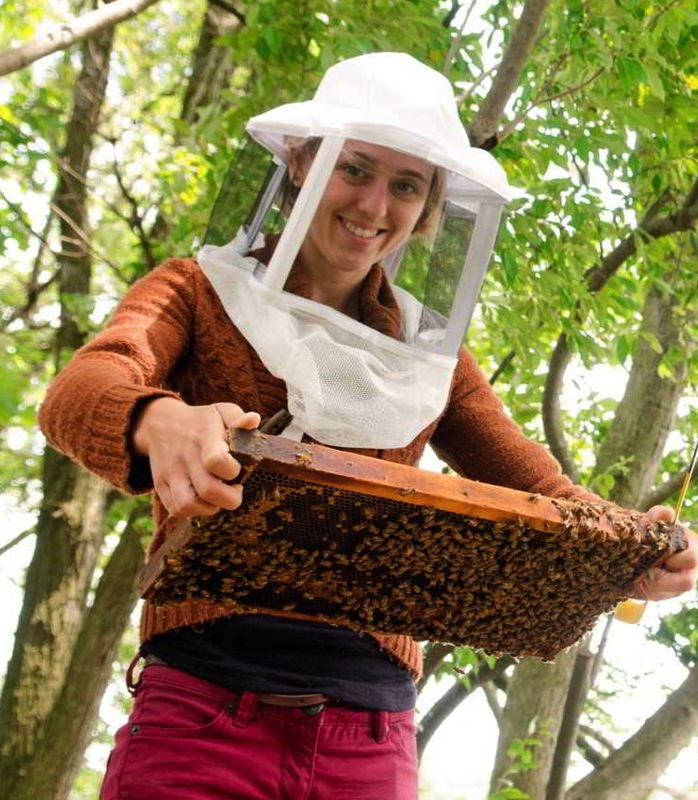 Her goal is to develop a non-chemical IPM (Integrated Pest Management)management program for small scale and hobbyist beekeepers throughout the mid-Atlantic to manage honey bee parasites. She is testing the efficacy of colony division (splitting and swarming) in conjunction with drone brood removal on reducing varroa numbers and varroa-vectored viruses. The program will reduce reliance on chemicals as well as the amount of time and costs beekeepers must spend on varroa control treatments, while overall increasing colony health and survivorship. With the help of many citizen science beekeepers the data collected will be applicable and beneficial to beekeepers throughout the mid-Atlantic.